Former U.S. Olympic gymnast Shawn Johnson will speak at 7 p.m. Oct. 25 in Baldwin Hall Auditorium. At the 2008 Olympic games in Beijing, China, Johnson earned an individual gold medal in the balance beam and three silver medals in the individual all-around, floor exercise and team categories. In 2009, Johnson became the youngest ever contestant on ABC’s “Dancing with the Stars,” where she danced her way to becoming the champion of season eight. In 2012, Johnson published her book, “Winning Balance” and announced her retirement from competitive gymnastics following a knee injury. Johnson will speak about her experience in the Olympic games, how they positively influenced her to inspire others and her passion for life after her knee injury. Admission is free. Tickets are available for students with a Truman ID starting Sept. 23 and for the general public Sept. 30. Tickets can be picked up in the Student Activities Board office, located in the lower level of the Student Union Building. For more information, call 660.785.4722. The President’s Sustainability Action Committee presents “GreenTown – Experiences from Greensburg and Joplin: Better Homes, Communities and Lives” at 7 p.m. Oct. 3 in Baldwin Auditorium. On May 22, 2011 an EF-5 tornado struck Joplin, Mo., and created a disaster on a scale that few communities have ever had to deal with in the U.S. While the tragedy was nearly overwhelming in its scope, it also presented unique opportunities to the community for recovery. GreenTown Joplin was launched through the cooperation of Joplin residents, sustainability experts from throughout southwest Missouri and the leadership of Greensburg GreenTown. Greensburg GreenTown was created following the May 4, 2007 tornado in Greensburg, Kan., when the city and citizens had to consider how they would rebuild. 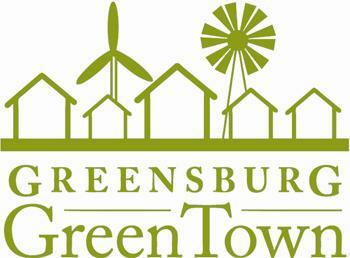 Daniel Wallach and Catherine Hart launched a nonprofit organization, called Greensburg GreenTown, which helped residents, business owners and the community make informed decisions about building durable and efficient homes. 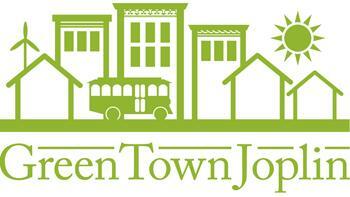 GreenTown has since been able to expand its reach by launching its first chapter in Joplin. The GreenTown organization provides building resource information, free of a sales motive, to communities throughout the country. Willy Crane, a volunteer member of the GreenTown team will discuss what the organization has done and how all communities can benefit from GreenTown’s experiences. Tickets are not required for this event, and admission is free. For more information, contact Lori Shook at lshook@truman.edu. Sigma Delta Pi is hosting a photo contest for students who have recently studied abroad in a Spanish-speaking country. The themes for this year’s photo contest are “People” and “Places.” Sigma Delta Pi asks for students to limit submissions to two per person. Submissions are due by Wed., Oct. 9 and should be mailed to tsusigmadeltapi@gmail.com with the subject “SDP Study Abroad Photo Contest.” All submissions should have the following information: name, location/country, and time of study abroad trip. Voting on Facebook will end Nov. 1, and the photo from each category with the most “likes” will win. The winning photos will be posted to Sigma Delta Pi’s website and winners will receive a gift card to a Mexican restaurant in Kirksville. For more information, email tsusigmadeltapi@gmail.com. The University Bands have scheduled a parents' weekend Oct. 4-6 and will perform various concerts throughout the weekend. The Truman Jazz Ensemble and Truman Jazz Lab Band will perform a concert at 8 p.m. Oct. 4 in Baldwin Auditorium. The Jazz Ensemble and Jazz Lab Band are under the direction of Tim AuBunchon, jazz studies director. The Truman University Orchestra will perform at 8 p.m. Oct. 5 in the Ophelia Parrish Performance Hall. The orchestra is under the direction of conductor Sam McClure. The Truman State University Wind Symphony will perform at 2 p.m. Oct. 6 in Baldwin Auditorium. Wind Symphony II, conducted by Tom Trimborn, will first perform a series of songs. Wind Symphony I, conducted by Dan Peterson, will perform second. Finally, both bands will perform a series of songs together. Admission is free for all concerts. For more information, contact the band office at 660.785.4436. The Learning Technologies Team, in conjunction with Dana Vazzana, director of academic professional development, has announced its fall semester lineup of faculty workshops. The faculty workshop series is focused on a variety of topics, ranging from advising, to scholarship to teaching with technology. The Learning Technologies Team leads the workshops. The next scheduled workshop will be “Google Apps for Education,” at 12:30 p.m. Sept. 25 in Pickler Memorial Library 103. This workshop will help faculty learn more about Google sites, Google Docs, Google Calendar and Google Sign-Ups. Faculty is invited to bring lunch to the workshop. To view a list of future workshop topics and dates, visit apd.truman.edu/home/upcoming-events. The Missouri Government Internship Program offers a unique opportunity for students to intern at the Capitol in Jefferson City, Mo., with a public official, legislator or state agency during the Spring 2014 semester. The program provides students an inside look at state government and the political process. Interns receive a stipend of $2,500 and up to 15 hours of credit. For more information, contact Candy Young at 660.785.4650 or cyoung@truman.edu or Heidi Templeton at 660.785.4016 or heidi@truman.edu. The Truman Funds Allotment Council is now accepting new member applications. Applications are due by 5 p.m. Sept. 30 on the lower level of the Student Union Building. The Truman Funds Allotment Council is dedicated to the intellectual and social development of students and enhancing their entertainment opportunities. The Council expresses this commitment through the financial support of activities that are organized and sponsored by a variety of organizations that will provide potential benefit to all members of the Student Association and the larger University community. For more information, contact Yang Li at 660.998.4045 or yl5682@truman.edu. The Truman Funds Allotment council is accepting fund applications for the Spring 2014 semester. Applications are available at fac.truman.edu and are due by 5 p.m. Oct. 7 in the FAC office, located on the lower level of the Student Union Building. In order to be considered for funding, an organization must have been chartered for one full semester prior to the semester in which funds are requested. For more information, contact Yang Li at 660.998.4045 or at yl5682@truman.edu. Sigma Sigma Sigma is hosting their annual philanthropy event, Rock for Robbie. The members of Tri Sigma are paired with fraternity members and will rock in rocking chairs for 24 hours a day, seven days a week. This event hopes to raise money for the Robbie Page Memorial Fund, which provides play therapy for terminally ill children. Sigma Sigma Sigma is also hosting a toy drive during this time. Any new or gently used toys can be dropped off and are greatly appreciated. For more information, contact Taylor Lay at tml7144@truman.edu. If your organization has an event scheduled on campus for Homecoming Week, click here to add it to the Homecoming schedule. The current schedule is available at homecoming.truman.edu. The Kirksville Parks and Recreation Department is looking for organizations that want to partner together for the Children’s Fall Festival. For more information, email hdarrah@kirksvillecity.com or call 660.627.1485. Former U.S. Olympic gymnast Shawn Johnson will speak about her experience in the Olympic games, how they positively influenced her to inspire others and her passion for life after her knee injury. Admission is free and tickets will be available for students Sept. 23 and for the general public Sept. 30 in the Student Activities Board office in the lower level of the Student Union Building. Vanessa Bayer is a current cast member on Saturday Night Live (SNL). She started her SNL career in 2010 and has portrayed many celebrities including Kourtney Kardashian, Miley Cyrus and Hilary Clinton. Admission is free for students and $5 for general admission. Tickets will be available for students Sept. 23 and for the general public Sept. 30 in the Student Activities Board office in the lower level of the Student Union Building. Winner of American Idol’s 11th season, Phillip Phillips' blend of rare authenticity and massive pop appeal has pushed him into stardom. Some of his biggest singles include “Home” and “Gone, Gone, Gone.” Tickets are $5 for students and $15 for general admission. Student tickets will be available Sept. 30 and faculty/general admission tickets will be available Oct. 7 in the Student Activities Board office in the lower level of the Student Union Building. The Robert L. Gould Scholastic Award is an opportunity for students of all majors to submit a research paper on a specific topic for the chance to win up to $10,000. Deadline for submission is Dec. 2. For more information, visit here or contact Lana Dowell in the School of Business at ldowell@truman.edu. 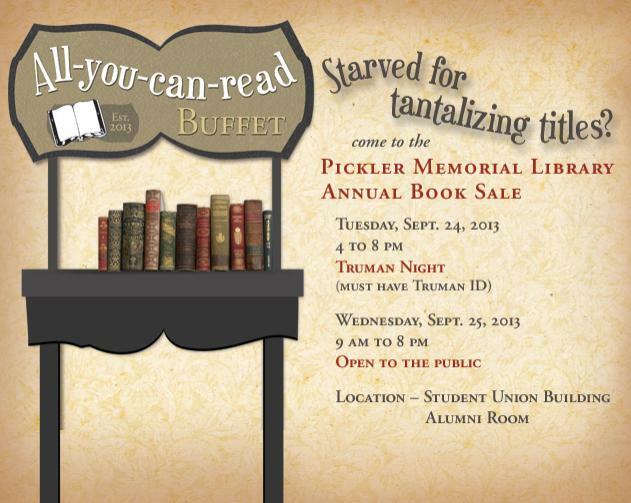 Pickler Memorial Library is hosting its annual book sale. Truman night is 4-8 p.m. Sept. 24 and students must have their Truman ID to enter. The public sale is 9 a.m.-8 p.m. Sept. 25. For more information contact the Library Dean’s office at 660.785.4038. The Herbert Scoville Jr. Peace Fellowship is a highly competitive national program that provides college and grad school graduates the opportunity to work in Washington, D.C., with one of more than two dozen participating public-interest organizations focusing on international security issues. It lasts from six to nine months and provides a salary, health insurance and travel costs to Washington. Scoville Fellows may undertake a variety of activities, including research, writing, public education and advocacy in support of the goals of their host organization and may attend coalition meetings, policy briefings and Congressional hearings. Fellows have written articles, blogs, fact sheets, letters to the editor, op-eds and reports, organized talks and conferences, and have been interviewed as experts by the media. Former Scoville Fellows work for: U.S. and international NGOs; the departments of Defense, Energy, State and Treasury; members of Congress, academia and media; and attend graduate school in political science or international relations, following their fellowships. Scoville Peace Fellowships are open to students of all majors. Complete details are available at www.scoville.org. Application deadline is Oct. 1 for the Spring 2014 fellowship. The purpose of this survey is for students with divorced or separated parents to answer questions about the situation. This survey is active now through Sept. 30. For more information or questions, contact Margaux Kent at mek8264@truman.edu. What is the link between the media we watch and the interests we develop? This survey seeks to understand the role media consumption plays in relation to political, environmental and civic interest among college students. The survey is active now through Sept. 30. For more information or questions, contact Kelley Bauer at kb3288@truman.edu. The purpose of this survey is to determine what factors impact an individual’s attitudes toward these issues. Your participation is much appreciated. The survey is active now through Sept. 30. For more information or questions, contact Katie Shields at krs1182@truman.edu. Dereck Daschke, professor of philosophy and religion, delivered a lecture to the Religious Studies Department at the University of Nebraska – Omaha Sept. 12. The talk was titled “The Most Human Thing We Do: Religion and the Need to Create” and explored the connection between religion, games, art and other forms of creativity. Huping Ling, professor of history, is currently serving in the New Changjiang Scholar Program in China. Her tenure will run academic years 2012-2015. Already Ling has published the following articles: “Chinese Chicago: Transnational Migration and Entrepreneurship, 1870s-1930s” in Overseas Chinese History Studies; “Rise of China and Its Meaning to Asian Americans” in American Review of China Studies; “The New Trends in American Chinatowns: The Case of Chinese in Chicago,” in Chinatown around the World: Gilded Ghettos, Ethnopolis, and Cultural Diaspora; and “Negotiating Transnational Migration: Marriage and Changing Gender Roles among the Chinese Diaspora” in Routledge Handbook of the Chinese Diaspora. Ling has also presented the following international lectures/keynote speeches: “Current Research Methodologies in Asian American Studies” and "'Chinese Dream' and the New Trends in Transnational Migration” at Jinan University, Guangzhou; “Chinese Chicago: Transnational Migration and Business, 1870s-1930s” at The Research Institute of Modern Chinese History, Wuhan, China; “Rise of China and the New Trend of Transnational Migration” at College of History and Culture, Shanxi University; “Reconstructing Transnational Migration Marriage Patterns—‘Taishanese Widows’ and ‘American Concubines’” during the Fulbright Symposium at Hong Kong University; “Marriage Patterns of Overseas Chinese during the later-19th and Early-20th Century” in Xiamen; and “Rise of China and Its Meaning to Chinese America” during the 8th International Conference on Talents and Development in China, in Wuhan. Ling has also been featured in the following media outlets: “Author Meets Critics,” Social Science History Association Annual Conference in Chicago; the feature article “Huping Ling’s Never-ending Quest of Knowledge” in Top China “Famous Professor” Section; on the Hubei television station in Wuhan, Hubei Province; in an interview on Chinese railroad workers for Transcontinental Railroad for The World Journal; and in an interview on Overseas Chinese remittance to homeland for The World Journal. Daniel Mandell, professor of history, has been elected to the advisory board of the Anti-Defamation League (ADL), Missouri and Southern Illinois region. 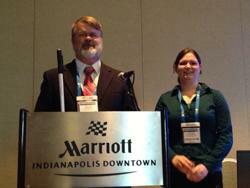 H. David Wohlers, professor of chemistry, and Truman alumna Caitlyn M. McGuire (’12) presented their paper “Blind student encounters chemical principles laboratories at Truman State University,” during the Current and Future Trends to Provide Equal Access to Chemistry and Science Curricula for Students with Special Needs session of the 246th American Chemical Society meeting Sept. 10 in Indianapolis, Ind. McGuire is a current graduate student at Bloomington Indiana University. at the 246th American Chemical Society meeting. University President Troy Paino will host his first "Coffee with the President" for the 2013-14 academic year from 2:30-3:30 p.m. Sept. 24 in Magruder Hall 2007. The Vietnamese Student Association will host the Across Vietnam Festival from 4-7 p.m. Sept. 29 on the Mall. Ten dishes from every part of the country will be available for tasting. There will also be traditional games and activities with a chance to win special prizes. The event is free to attend, but tickets will be needed to sample food. Tickets are $5 and can be purchased from 10 a.m.-4 p.m. Sept. 23-25 in the Student Union Building or at the International Student Affairs Office during regular business hours. For more information contact ahd1617@truman.edu or trumanvsa@gmail.com. The Theatre Department and Multicultural Affairs Center are sponsoring a performance of Flamenco Dance at 7:30 p.m. Sept. 29 in the James G. Severns Theatre in Ophelia Parrish. The dancers are Elga Sepulveda Suarez and Richard Martinez Sanchez, two young people from Puerto Rico who own and operate their own theatre company. The dancers are at Truman to assist with choreography for “Blood Wedding,” a Theatre Department production that opens in November. There will also be a Flamenco Dance workshop open to the campus and community at 7 p.m. Sept. 30 in the Pershing Dance Studio. For more information, contact Dana Smith, professor of theatre, at dasmith@truman.edu. The deadline for applying to teach English in China through the SA CHN 550 EFL Internship (12 credit hours) in the spring is Sept. 30. Through this internship, students teach English conversation in public schools in rural Guangdong Province. Students also take a one credit hour class, ED 549 EFL Methods - China, prior to departure. For more information, contact Timothy Farley at tfarley@truman.edu. Sponsored by the School of Health Sciences and Education. The University of Missouri Crosby Master’s of Business Administration Program will have an information session 6-7:30 p.m. Oct. 2 in the Student Union Building 3302. Dinner will be provided. Learn more at mba.missouri.edu and RSVP to mba@missouri.edu. The deadline to submit an abstract for the Interdisciplinary Biomedical Research Symposium is Oct. 15. Students and residents who wish to be eligible for a cash award associated with their poster need to register by Oct. 8. All abstracts must be submitted electronically via email to Charity Thomann at cthomann@atsu.edu. Register online at atsu.edu/research/events/5thIBRS.htm. Practice your interviewing skills with professionals from diverse career backgrounds. Pre-registration with resume is required, so visit the Career Center soon to select a time slot. Stop by to get your resume critiqued before Career Expo. Learning table etiquette can help you excel in business and also in landing the job of your dreams. Many of today’s business meetings, sales meetings and job interviews take place over the dinner table. Sometimes these meetings are at a restaurant and other times they are in a corporate dining hall. When the big deal or job is on the line, it isn’t the time to realize you don’t know which fork to eat your salad with. Join us for this fun and informative evening where you will learn the details of flatware and so much more. The cost for this four-course formal meal will be $12 payable with credit card or you can stop by the Career Center to pay by cash or check. To pay online visit secure.truman.edu/career-s/etiquette. Limited space is available. Talk with a diverse group of employers for potential job opportunities and networking experience. Truman graduate and CEO tells the story of how he made his own path in social media. University photographer Tim Barcus will be taking professional photos for your convenience. Karen Tripp, president a founder, will discuss starting a nonprofit and her Christian mission to help families affected by cancer. Learn about the Crosby MBA experience for students with liberal arts backgrounds as well as more traditional academic programs. Learn how to land a career in IT by understanding the job market, building your personal brand and standing out in an interview. Students will be provided a brief introduction to the quantitative sections of both the GRE and GMAT. Students will learn how to approach problems, review math fundamentals and find out what math concepts are tested on the GRE and GMAT. Space is limited-register here. For more information, contact the Career Center at 660.785.4353. Montana State University is sponsoring three scholarship opportunities available for the Spring 2014 semester. A $500 scholarship is available for study abroad to Morocco at Al-Akhawayn University. The deadline to apply for this scholarship is Oct. 1. Another scholarship is available for $1,000 to study abroad at Kingston University in England. This deadline is also Oct. 1. The University of Canterbury in New Zealand is offering various scholarship amounts (up to $2,000). The deadline for this scholarship is Nov. 1. For more information, contact Alyson Roberts at 406.994.7044 or at alyson.roberts@montana.edu. AES Engineers is committed to continuing its support of higher education by providing scholarships to deserving students. To be eligible the student needs to answer one of the essay questions that they will find online at aesengineers.com/scholarships.htm. A $500 scholarship will be awarded on the basis of character, as determined by evaluating the essays that are submitted. Deadline for entry is Oct. 4. CCIS has three scholarship awards available for the Spring 2014 semester in the amount of $1,000 each. The deadline for nominations is Oct. 14. For more information, visit the Study Abroad office in Kirk Building 114. Federated Garden Clubs of Missouri, Inc., are offering schoolarships for the 2014-2015 academic year. Last year they awarded more than $10,000 in scholarships to Missouri students. Two students selected by the Federated Garden Clubs of Missouri will be submitted to Central Region as an applicant and to National Garden Clubs Inc. as a Missouri applicant, and will compete for a Central Region and National Scholarship. Scholarship application is available on the website at gardenclub.org/scholarships. Deadline to apply is March 1, 2014.